Here is another part for your list of affirmations, which you can use to remind your kids (and yourself) that the world is a great place to live and that they (and you) are great people who can do great things. I eat healthy food because my body is important to me. I care about the world I live in and I keep it clean. Caring for the world we live in is a higher state of being. We can adapt our parenting style to motivate our kids to make a difference in the world they live in by being a role model. Below are 55 ways to make a difference in the world. Each one can become an affirmation. I am sure some will be more appealing than others. Tell your kids that they make a difference in the world just by being. They certainly make a difference in your life just by being. Talk about making a difference in the immediate world, because not everything involves giving money to poor people. Turning off the tap is much more real to your kids. Pick 3 ideas you can do with your kids. Ask for their opinion and, most importantly, ask them why these are good things to do and make sure they know the reasons. Take your family to the park and talk to them about the joy of being in green, clean, preserved places. When you are outside, clean after yourself and teach your kids that just as they do not litter at home, they should act the same way in our “global home”. Plant a garden and teach your kids to care for the garden. If you live in an apartment building, have pot plants and take care of them. Kids get really excited when they see plants grow, make flowers and bear fruit. Every year, plant new things in your garden and teach your kids about plant rotation. When you go camping, put out your fire properly. Be careful with cigarettes and fire in the bush. Set up a compost bin and put your organic waste in it. Show your kids how the compost helps your garden grow. When you fish, follow the fishing rules. The rules are there to protect the fish, but in the long term, they protect the people. Use water-saving appliances. Consider the water rating before you buy. Walk up the stairs instead of using the elevator or escalator (it will make you healthier too). Car pool if you can. Use public transport if you can. Install a “half flush” in your toilet. Open your car windows from time to time (in good air) to connect with the outside and save the energy needed for air conditioning. Hang your clothes outside to dry instead of using a dryer. Use your washing machine only when you have a full load. Use your dishwasher only when you have a full load. Use solar power and solar water heating. Recycle your clothes. Donate them or use their fabric to make something else. The more you use, the less everyone needs to produce. Separate your garbage and recycle. Use reusable bags and boxes instead of plastic bags. Do not print things you do not have to. Adjust your computer applications to make text easy to read. Print on both sides of the page if possible. Use emails as much as you can to save printing. Pay your bills online (and choose to receive email statements) to save trees and reduce carbon emissions. Be careful what you wash down the sink (avoid disposing of oil, paint or hazardous chemicals). Use a strainer and/or garbage disposer in your sink. Plan your shopping. If you buy more than you need and have to throw it away, everybody loses. Use leftover food to make new dishes. Turn off taps and make sure they do not leak. 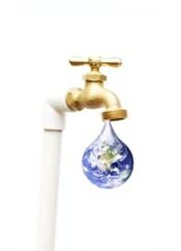 Find ways to save water in your shower, toilet, garden and sink. Wash your car on the grass. Use energy-efficient light bulbs (they are everywhere now and they produce warm light and last for years). Reuse your food containers (but do not use them in the microwave oven). When you use your oven, avoid opening the door. When you heat water, heat only as much as you need. When you bake, try to do all your baking in one go, so you only have to preheat the oven once. Use timers for electric appliances. When you mow your lawn, use the cuttings for compost. Borrow equipment you rarely use from other people instead of buying it. Lend other people your equipment, too. Find out natural alternatives for chemical cleaners. Use old magazines and phone books for arts and craft. If you can work from home (or very close to home), do it. Try to fix things before you buy new ones. Safety is probably something that is very important for every parent. Do not try to teach your kids about safety when things are stressful and they cannot understand how they can feel different. Talk about it when everything is Ok and everyone is all right. Talk to your kids about stranger danger. No need to say that every stranger is dangerous. It is better to say, “If you don’t know someone, don’t take a risk”. 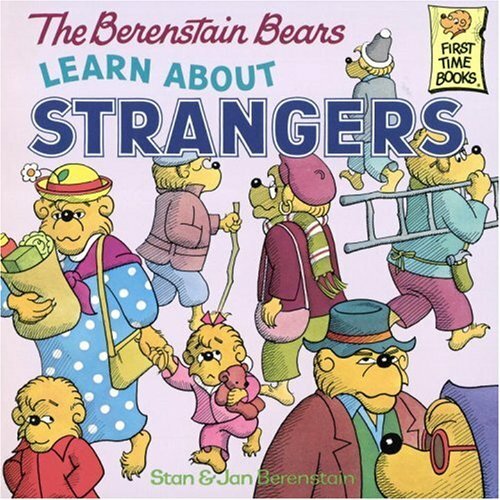 Check out the book The Berenstain Bears Learn About Strangers for inspiration. Talk to your kids about internet safety. Teach your kids to trust their gut instincts if they feel something is wrong and encourage them to stay away from people who give them that feeling. Pay attention to what you say danger is. Make sure you do not overuse the word. If your kids think you are saying that simple, harmless things are dangerous, they will not trust you anymore (you cry “Wolf!”). Make sure your kids understand what is an immediate threat and what is not. Some kids may think that the talks about global warming are a daily threat on their life, so it is better to discuss it as a future possibility that we can do all that we can to change, but is not likely to affect us today, next week or even next year. Stay away from associating danger with a particular group of people. You could be creating another problem that way. It is always good to find out the kids motivation. Strategies a school faculty use to motivate kids that are interested in social matters than academic pursuits? Great site I’m looking forward to reading more posts from you!